For tickets and more information, please visit European Film Forum Tallinn webpage. 10.30 - 10.45 Inspirational kickoff speech. The wide lens: How to innovate and stay relevant in the global content race? What will be Europe's uniqueness in the future? 10.45 - 11.30 New mediums, new audiences, new opportunities. How can European cinema benefit from the innovative content through the short form, narrative games and the robotics revolution? If Europe seems to be behind in the global streaming race, then there is one storytelling driven industry where the continent is a serious contender in the top league. As Mattias Ljungman from top-tier investment firm Atomico claims, “The European games industry is a non-stop unicorn juggernaut: more than a quarter of all the billion-dollar-plus games companies founded over the last 15 years were born here”. 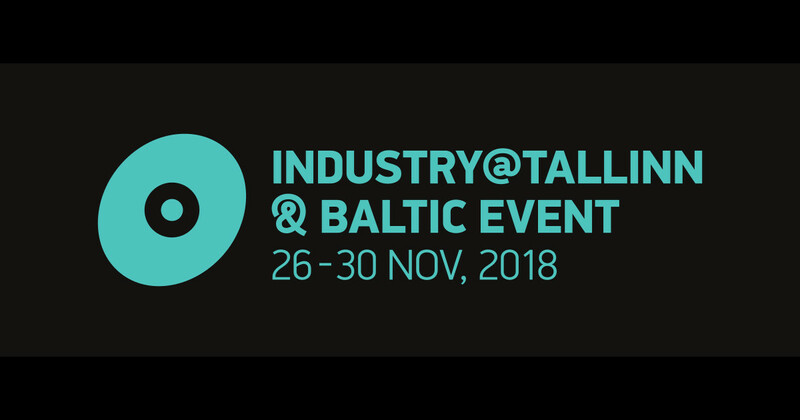 How European audiovisual storytellers and producers can benefit from the success of other transformative sectors and technologies - and what has cinematic storytelling to do with games, short-form content and breakthroughs in artificial intelligence, automatic translations and robotics? The session will present globally acclaimed innovators from the short form, gaming/ low technology, and robotics which will discuss how collaboration with these industries will not only open up new opportunities for European filmmakers but also push forward Europe's innovation capabilities through storytelling. 11.30 - 12.15 Demystifying immersive entertainment - hype of the new revolution? Augmented and virtual reality has been hailed in recent years as the next big thing in audiovisual entertainment but also at education and culture. The landscape for VR penetration has been still chaotic at large with only a few success stories and fewer models to follow. With the cost of VR engagement and distribution technologies decreasing exponentially, it is clear already that VR and AR have the potential to create new, compelling experiences and boost the cultural diversity.. The session brings together professionals from VR's key verticals - storytelling, financing/production, and distribution to demystify what opportunities VR will bring, what are reliable business models and what to expect at Europe's growing VR distribution market. With broadcasters under pressure and public support under pressure across Europe, developing new business models for independent and art house cinema has become a staple, but a somehow unresolved issue for Europe's cinema industry. Where to turn for financing to back Europe's historically significant role in nurturing art-house cinema? The session showcases international female executives who are driven by the passion for supporting independent filmmaking, but by engaging either specialized venture capital funds or creative crowd-driven financing and investment platforms. The buzzword for Europe's film and content business in 2018 has been without doubt blockchain as testified by the frenzy of new blockchain companies present at Europe's major film markets and festivals. From platforms promising new financing opportunities to through cryptocurrencies and Initial Coin Offerings (ICO's) to new rights tracking and streaming platforms, blockchain seems to be the suggested remedy for a majority of the issues facing current value chain in Europe's cinema and television business. However, as with all new technologies much remains to be discussed - what are the elements of the value chain where blockchain can provide benefits, what kinds of opportunities and issues should be addressed when applying blockchain to royalties or distribution contexts, and towards which direction are the relatively murky legal frameworks moving? The session brings together executives with a successful track record in blockchain implementation in film financing & distribution, festivals and policymaking sectors to present what blockchain and tokenized solutions can do and what it cant for Europe's film business. The question of how to ensure Europe's cultural diversity through creativity has become increasingly important at a time where society, technology, and political landscape are changing with ever-escalating speed. What actions should Europe's storytellers, technologists, and politicians take to turn Europe's diverse creativity and European cinema into an asset for a sustainable future and ensure the relevance of the continent's industry for 2020 and beyond.